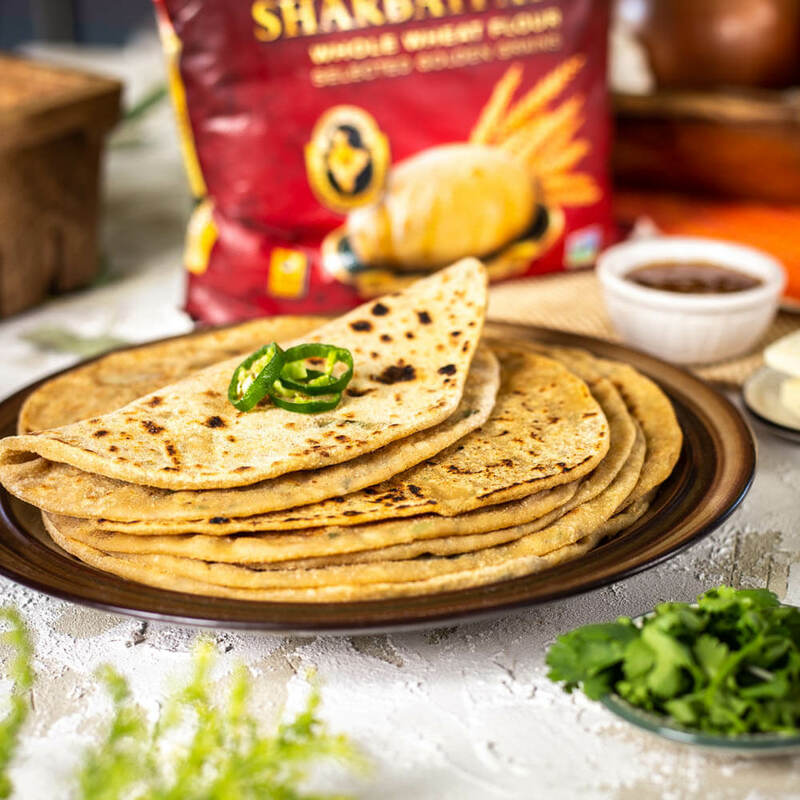 It’s easy to make warm, delicious parathas with potatoes, onions and of course Royal Sharbati Atta 100% whole wheat flour. Fry up a few today for a delicious comfort snack. Mix the ingredients for the filling together and set aside. 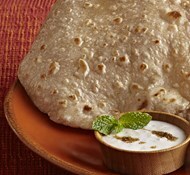 Make sure filling is completely cool before making the paratha. Mix all the ingredients for the dough. The dough should be very smooth and if too sticky, add a little flour. Allow the dough to rest covered for about 20 minutes. Divide dough into 8 pieces. Using a rolling pin and a little flour, roll out each piece of dough into a circle about 4 inches in diameter. Spoon 2 tablespoons of filling onto the dough. Bring up all the sides of the dough and pinch at the top to firmly close. Flip over dough and roll gently into a 6 inch round. Use flour to ensure the dough doesn’t stick to the rolling pin. Repeat the process until you’ve completed all the paratha. Heat a griddle over medium-to-high heat and brush with oil or ghee. When nice and hot, add the first paratha. Allow the first side to cook a minute or two and brush the side that’s up with oil and ghee and then, flip. The paratha should bubble up. You want them to have nice brown spots on both sides. Repeat the process with the remaining paratha. 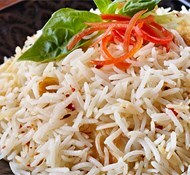 Serve with chutney and butter or ghee. Get flavors from around the world sent right to your inbox!